Central problem: modern artists have to fight against the public, media and critics for their authenticity. In 8 ½ Fellini needed an idea for a movie, he fought a much greater fight with himself about the meaning of life than just Birdman’s temptation to go down the easy lane to obtain money and fame. Reporter asking about Barthes is clearly Fellini’s critic he imagined hanging, yet today he gets only few seconds of screen time, he isn’t representing a point of view, not in our times. # 22 Die Blechtromme (The Tin Drum), G. Grass, 1959. Simply put, that’s hell of a novel! # 87 The Names, D. DeLillo, 1982. 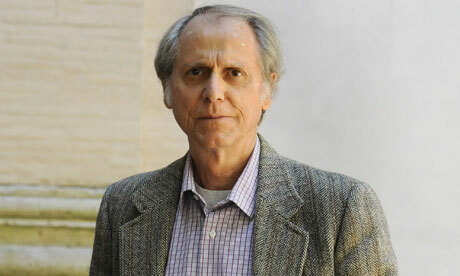 My name is Don DeLillo and I want to play a game with you, dear reader. Here is book that I’ve written lately, it’s about an ancient cult that kills people and worship words and letters, also the main character is researching risks in middle eastern countries by some mathematical means. Anyway if you are interested in numbers, patters and equations you should try it. I mean it seems like that’s what the book is about, right? # 95 Colossal Youth (Juventude Em Marcha), P. Costa, 2006.